How does a society descend into horrific intolerance? I grew up in a school system that emphasized the history of the Holocaust. 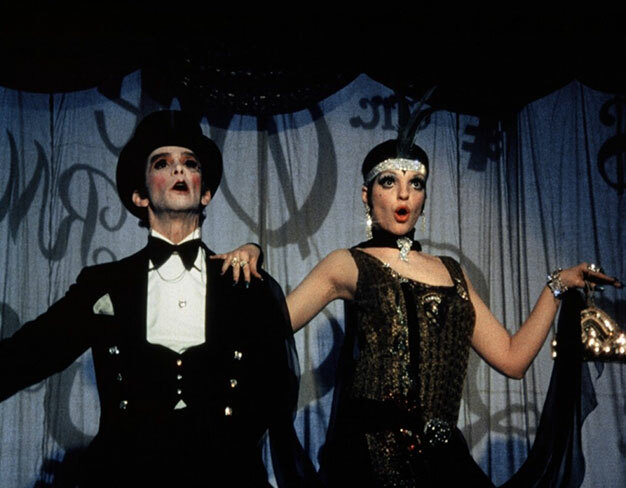 We learned through reading, lectures from Holocaust survivors, film, but it was this movie, Cabaret, based on Chrisopher Isherwood’s The Berlin Stories and the play based on those stories, I Am a Camera, that put all the pieces together for me. I was a senior in high school when it was released. My friends and I saw it several times. We cheered when it won so many Academy Awards (although it didn’t win Best Picture). The images from the film, the scenes, the music still play in my mind today. I am grateful for this movie for opening my mind and heart.